The X4 Strength Training System is an extremely versatile home gym, having Four-Weight-Stack System. It can accommodate multiple users, or quicker transitions for the single user. Every possible traditional dumbbell and Barbell exercises can be performed with this home gym. This home gym was built for commercial and the discriminating home owner and its weight range from 5 pounds to 400 pounds. 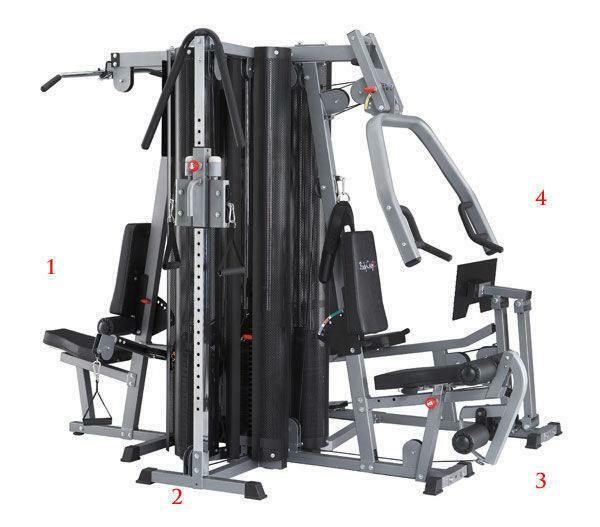 ToughTrain 4.5 out of 5 Quick and effective result is the trademark of this multi purpose home gym. It can be a worthy deal. *Note: Most of the sites, stores or shopping portals listed above sell BodyCraft X4 Strength Training System with discounts and other exciting offers. There is a possibility that the some of above websites are not selling BodyCraft X4 Strength Training System now. Toughtrain.com is not liable for such cases or instances. Also we do not recommend any seller for BodyCraft X4 Strength Training System and a buyer should buy from where he/she gets best deal with quality of products, service and on time delivery (shipment).